Thousands of books target business executives promising to reveal the methodologies and science of change management. My book is not one of them. 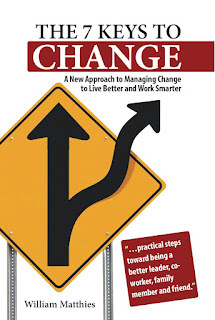 The 7 Keys to Change: A New Approach to Managing Change to Live Better and Work Smarter was written for people who want to see more positive results from personal and professional change initiatives.